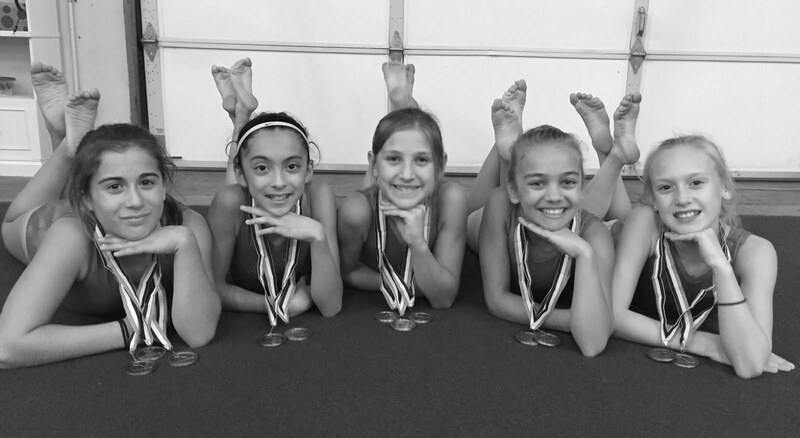 The Junior Olympic Compulsory gymnasts from the Gymnastics Zone finally had the chance to compete at home after a month on the road at the Flipping Above the Valley Invitational hosted by and held at the Gymnastics Zone. 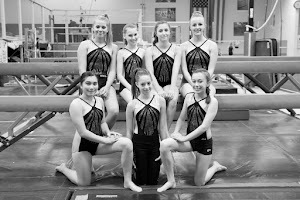 The chance to compete in front of their hometown crowd filled with family and friends was a special one for the girls, some just barely in elementary school competing in their very first meet ever all the way to those girls finishing up their compulsory careers, looking forward to the challenges of higher level “optional” gymnastics. Each one finished their session with medals to add to their displays and a sense of accomplishment. Kaitlyn Conway – fifth on vault, fifth on bars, fourth on beam, fifth on floor and fourth all-around with a score of 32.725. Avinlea Bicknel – second on vault, eighth on bars, second on beam, sixth on floor and sixth all-around with a score of 34.425. 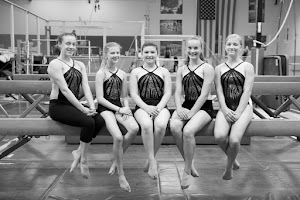 Rue Holden – sixth on vault, seventh on bars, ninth on beam, eighth on floor and seventh all-around with a score of 30.975. Luca Renaudin – eighth on vault, sixth on bars and eighth all-around with a score of 29.825. Madelyn Seller – ninth on bars, sixth on beam and ninth all-around with a score of 29.625. Brennecke Daley – (scratch on vault), ninth on floor and eleventh all-around with a score of 21.775. Madeline Roberts – eighth on bars, fourth on beam and eighth all-around with a score of 34.325. 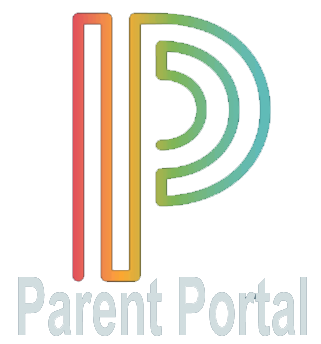 Cayla Ferroni – second on vault and tenth all-around with a score of 33.450. Audrey Westfall – seventh on vault and twelfth all-around with a score of 32.400. Teegan Sigourney – fourth on vault and thirteenth all-around with a score of 32.275. 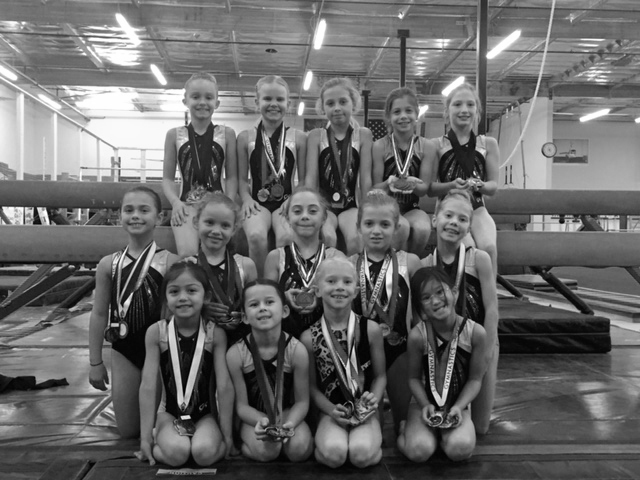 Keira O’Callahan – ninth on vault, seventh on beam, second on floor and eighth all-around with a score of 35.050. 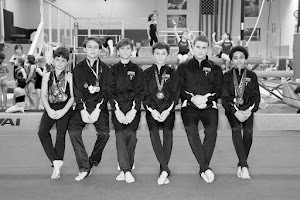 The Level 2 Team placed sixth with a score of 102.825. Isabella Moore – fifth on vault, first on bars, fifth on beam, second on floor and third all-around with a score of 34.200. Kate Parker – fifth on bars, third on beam, fourth on floor and fourth all-around with a score of 33.175. Nicole Patterson – ninth on vault, fourth on bars, seventh on beam, sixth on floor and fifth all-around with a score of 32.875. Arianna Deibert – eighth on vault, ninth on bars, third on beam and seventh all-around with a score of 32.025. Kaylee Costella – seventh on vault, seventh on bars, ninth on beam, sixth on floor and seventh all-around with a score of 32.025. Soraya Towey – eighth on bars, ninth on floor and tenth all-around with a score of 30.825. Abigail Loose – fourth on vault and eleventh all-around with a score of 30.775. Stella Sebastiani – sixth on bars and twelfth all-around with a score of 30.725. 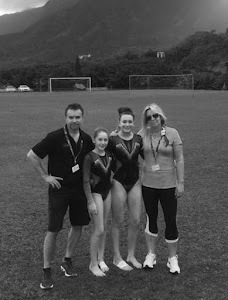 Lily Turner – ninth on vault and thirteenth all-around with a score of 30.300. Emma Riggs – fifth on vault and fourteenth all-around with a score of 29.300. Sade Muessel – first on vault, seventh on bars, first on beam, fifth on floor and second all-around with a score of 36.175. Brynna Cohee – eighth on vault ninth on bars and thirteenth all-around with a score of 33.325. Mia Sellick – seventh on vault, first on bars, fifth on beam, third on floor and third all-around with a score of 36.100. Calla Miner – third on vault, eighth on bars, eighth on beam and eighth all-around with a score of 34.200. 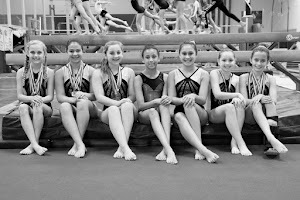 The level 3 team placed fourth with a score of 107.175. Emily Tran – second on vault, first on bars, third on beam, first on floor and first all-around with a score of 36.325. Naomi Uemura – seventh on vault, second on bars, second on beam, second on floor and second all-around with a score of 35.750. Audrey Jonas – first on vault, fifth on bars, sixth on beam, fourth on floor and fourth all-around with a score of 35.275. Mackenzie Madsen – sixth on vault, ninth on bars, seventh on beam and eighth all-around with a score of 33.675. Kailea Abernathy – ninth on beam, eighth on floor and ninth all-around with a score of 33.325. Coralea Wright – ninth on beam and eleventh all-around with a score of 32.950. Tatum McKinley – fifth on beam, ninth on floor and twelfth all-around with a score of 32.850. 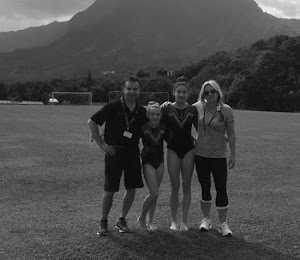 Angel Trefry – ninth on vault and thirteenth all-around with a score of 31.750. Fallon Abernathy – second on vault, first on bars, first on beam, first on floor and first all-around with a score of 37.175. Morgan Phipps – first on vault, second on bars, fourth on beam, fourth on floor and second all-around with a score of 36.325. 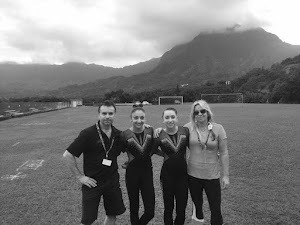 KellyRose Kokotas – sixth on vault, seventh bars, second on beam, fourth on floor and fourth all-around with a score of 35.550. Alex Westfall – fourth on vault, fourth on bars, second on beam, eighth on floor and third all-around with a score of 35.450. 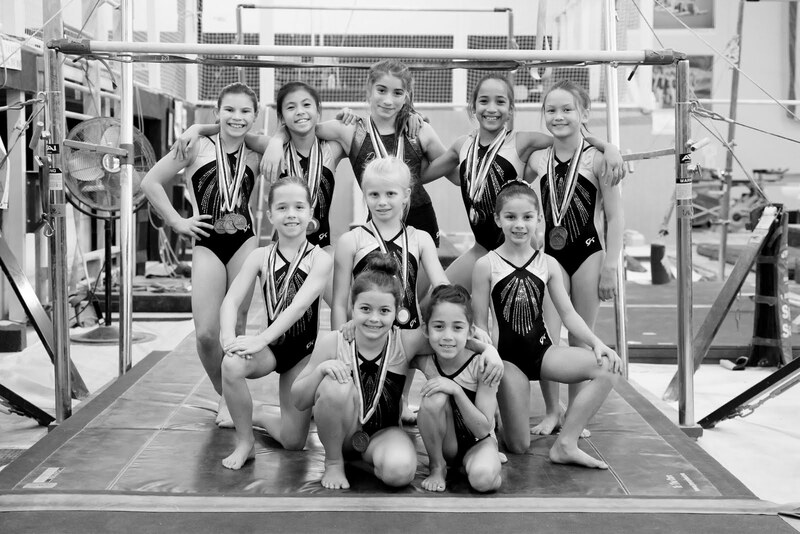 The Level 4 team won the first place trophy with a score of 110.350. Kylie Holman – seventh on vault, fifth on bars, fourth on beam, fifth on floor and fifth all-around with a score of 35.200. Hali Chaykin – first on vault, second on bars, third on beam, second on floor and first all-around with a score of 36.050. Scarlet Hunsaker – third on vault, fifth on bars, second on beam, fourth on floor and third all-around with a score of 35.075. Alexa Rendon – fourth on vault, seventh on bars, eighth on beam, seventh on floor and seventh all-around with a score of 32.875. 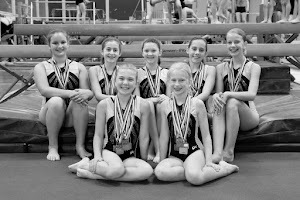 The Level 5 team won the second place trophy with a score of 106.725. 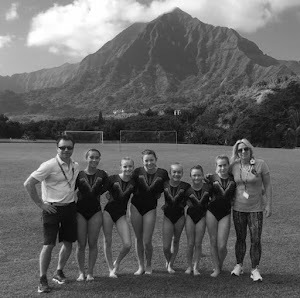 Holman qualified for Level 5 State Championships in November with her score from this meet – she had previously qualified as a Level 4, but moved up mid-season. 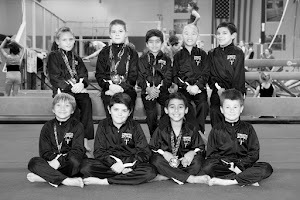 The Level 3, 4 and 5 teams will compete at the Surf Classic this weekend hosted by Byers Gymnastics, Roseville held at the Mahany Sports Complex in Roseville.